Well it's most definitely an obvious prototype. Wouldn't surprise me if it was randomly dismantled after they did tests at midnight to keep it somewhat secretive. Seen a rumor just a rumor on a Disney forums this is just a moch up for Disney world epcot new coaster guardians of the galaxy.I would not be surprise with how much Disney works with vekoma and Disney has filed patterns for something simular. 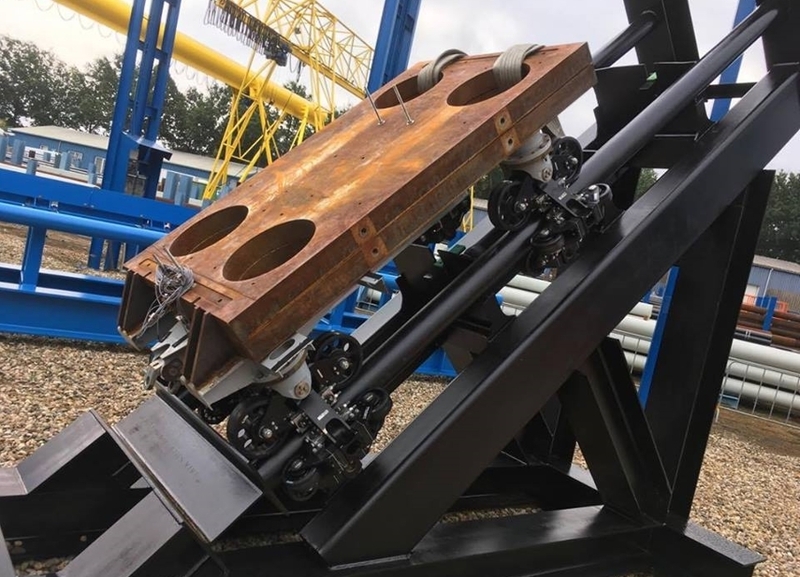 ^^I'm assuming thats' what happened with the last vekoma prototype, the dive pretzel coaster. That one however was painted and look like it would just be reassembled at another park, this however seems like it'll only ever be at the factory . ^The Dive pretzel was for a mall in China, but the project fell through unfortunately. From what I understand, Disney won't have any marvel themes in their Florida parks... Something about when Disney bought Marvel, they couldn't brand it in parks east of the Mississippi River. Don't know if that is true or not, but I trust the source. ^ Your logic does make sense! 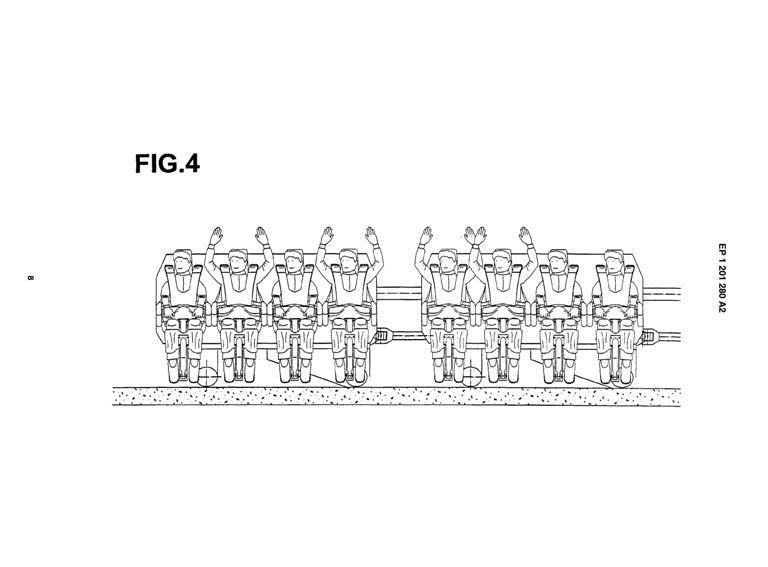 These drawings of trains are from patents of Vekoma. They never said anything that the trains will be for this track but it seems like they would fit! 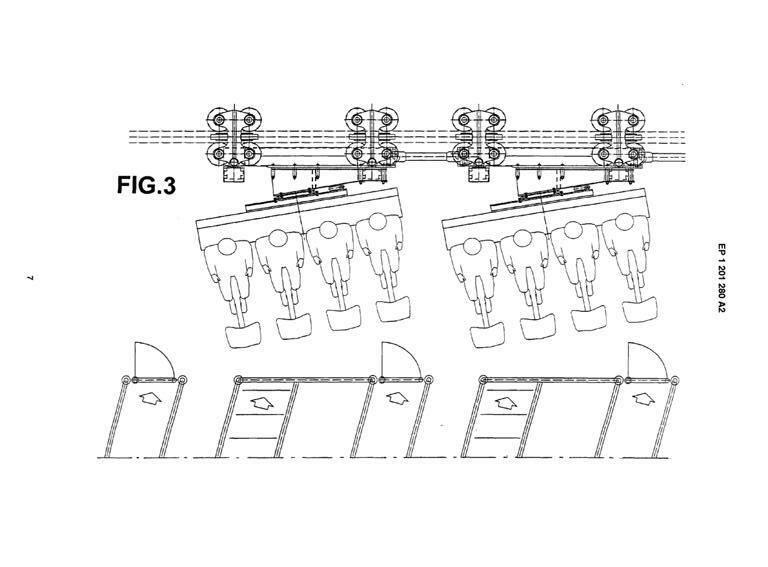 These are trains for flying coasters but because they can rotate, it should be easier for passengers to get into them. All I can think is that they are going to build a perhaps Flying Spinner! Nice Find! The track would make sense if these are the trains. I could see it happen. 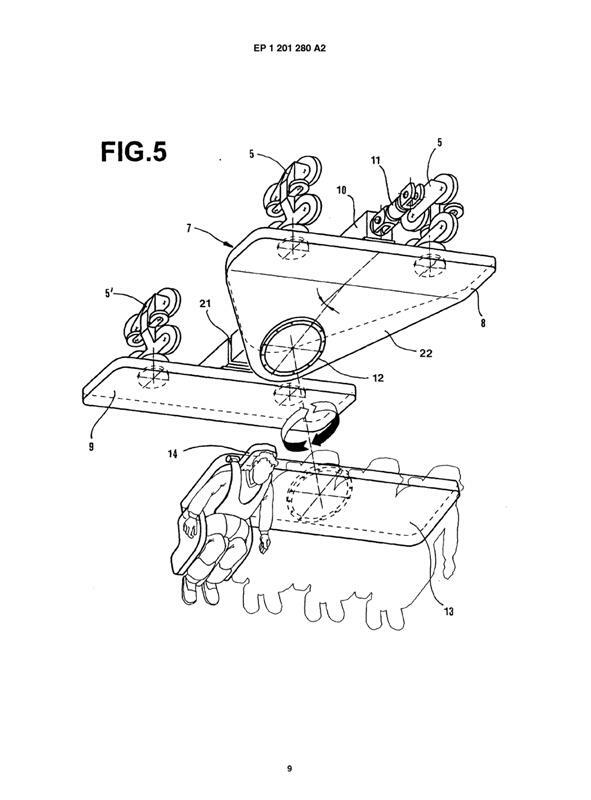 Good patent find. That system makes more sense as a whole and would hopefully be less complicated than the current iteration from all manufacturers. Herman did get stunning finds! Ride vehicle revealed!...well not quite, but at least we can see what the chassis will look like! Looks like an upsidedown lego should go in it. Interesting, quite small wheels. I imagine that would result in a lower speed / force ride. 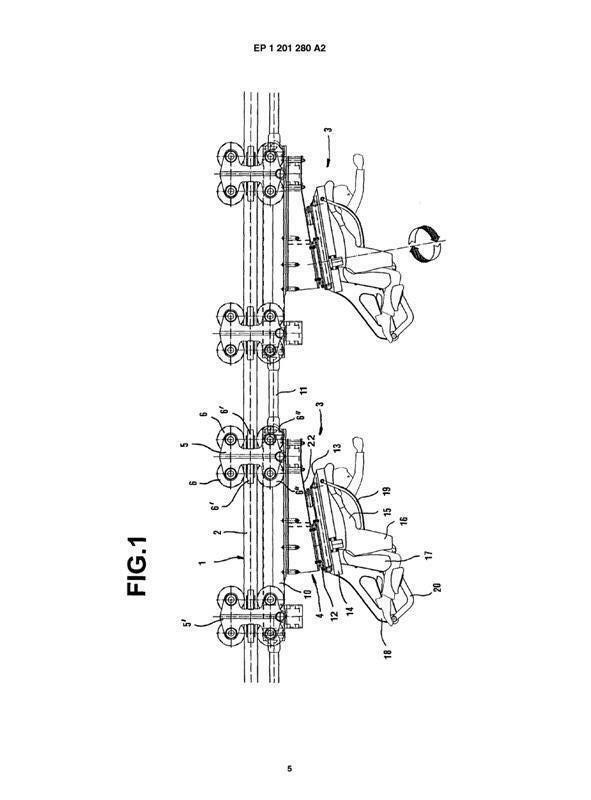 I think the ride will be fun but I'm just wondering, how will it do in parks? I could easily see it being an enclosed ride with special effects. It should not be a ride that should be outside, I think that would just look a little weird.